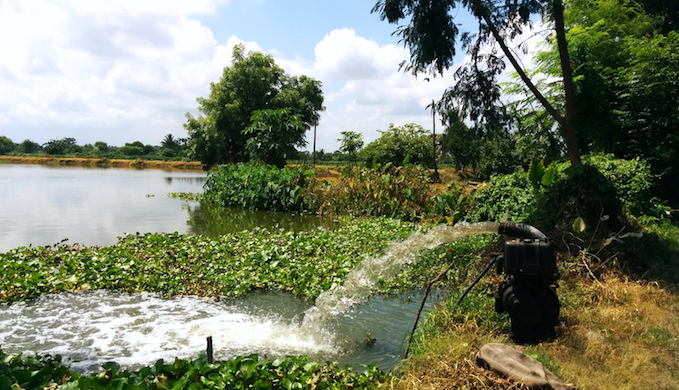 "The government must raise the level of wastewater in the channels going past the bheries (fishponds)," says Dinabandhu Mandal, a 46-year-old fisherman from Goyalbati village in the wetlands. "If we have to pump the water into our bheries at additional cost, we will surely go out of business." The wetlands in the east of Kolkata are part of a unique ecosystem that thrives on wastewater from India's third-most populated metro city. It's the world's largest organic sewage treatment system, doubling up as a vegetable garden and fishery that supplies more than a half of the city's daily requirement. The two unique services that the wetlands provide -- zero-cost treatment of the city's wastewater and community livelihood-based transformation of the waste to nutritional wealth -- are best served if they receive a sufficient supply of wastewater, according to Santanu Chacraverti, president of non-profit Disha (Direct Initiative for Social and Health Action). "Yet, it has not been getting this supply for a long time now," Chacraverti says. To tackle the crisis the fisheries are facing, Disha with a few other concerned organizations and individuals petitioned the National Green Tribunal to take action. The eastern bench of the tribunal on 20 July asked for an accounting of the water. The West Bengal Irrigation Department has to "furnish status report of Bantala Lock Gate with specific reference to its height as compared to the wetland," said Justice S.P. Wangdi and expert member professor P. C. Mishra in their written directive. They will hear the matter again on 18 August. "The green tribunal taking notice of the matter is a positive development. This may set the ground for the government to enter into a discussion on diversion of wastewater into the fisheries," says Dhrubajyoti Ghosh, special advisor to the International Union for Conservation of Nature (IUCN) and the foremost authority on the Kolkata wetlands. "The tribunal's direction to produce a status report of the Bantala lock gate in terms of the sewage water level appears to be a promising turn of events," echoed Chacraverti. "This will get us back to the way fisheries used to work in the 1980s, which means sufficient supply of wastewater," says Ghosh. The increased supply will also ensure that fishponds that are more than 3.5 km from the Bantala lock gate are revived, boosting aquaculture and livelihoods. The problem of wastewater supply has been compounded by a well-intentioned directive by the Central Wetlands Regulatory Authority to stop the release of sewage into any of the country's notified wetlands. As far as the Kolkata wetlands are concerned, Ghosh says the federal watchdog has made a mistake. "Nowhere in the world is there an example of such a natural ecosystem providing a vital municipal service to a city," he had said in an earlier interview. "We need to take steps to bolster and encourage the processes that strengthen the wetlands rather than raise roadblocks." Chacraverti agrees. "Any water that you release into the Kulti River without funnelling it through the wetlands becomes a pollutant that creates havoc on the downstream aquatic environment," he says. "The same water passed through the wetlands is not only cleaned but it also creates nutritive wealth. Increasing wastewater flow to the wetlands makes elementary ecological sense. 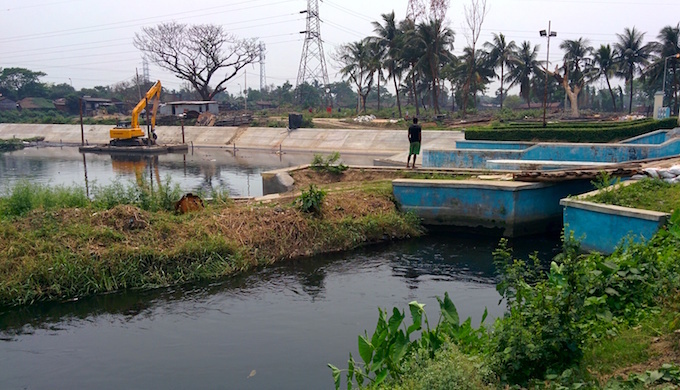 "The farmers and fishers of the Kolkata wetlands have developed a cradle-to-cradle approach on their own, silently and without any fanfare, simply by intelligent use of urban waste as nutrient for their fields and fish," said Chacraverti. "Thereby, they not only cleaned the waste water at no cost to the city but also created an abundance of cheap nutrition." At a time when climate action is a matter of priority both in India and the world, it is all the more important to preserve and strengthen the Kolkata wetlands, Ghosh avers. "The East Kolkata Wetlands is a low carbon option, if not carbon negative, for such a big city as Kolkata." This report was first published in India Climate Dialogue.